This topic contains 1 reply, has 2 voices, and was last updated by jeff2398 2 months, 1 week ago. 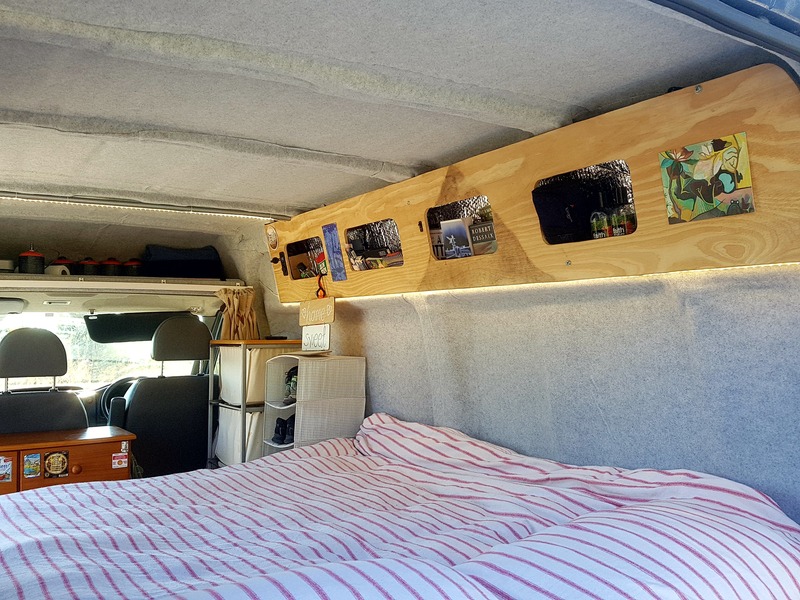 I am urgently selling my recently converted Ford Transit MWB campervan. The conversion is simple and practical. The van is registered in the UK as a van not a campervan. Negotiable on price, urgent as I am moving back to Australia. 2004 Ford Transit, 159,000miles, runs well, 3 owners since new. Happy to arrange inspections in and around London. First owner had van regularly serviced, second owner was a weekend handyman, I purchased the van in July and the van has had a major service, oil change and two new tyres (receipts available). I am more than happy to take anything that you don’t want. I did not install a leisure battery as the electrics in the rear work fine off the large main battery. 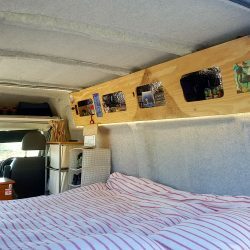 Please email if you have any questions or are interested in inspecting the van. Van is still under warranty with VW until October 2019, Suspension was upgraded by VW to cope with additional weight and keep warranty intact. Below is the specification of the ‘base van’ before conversion. The Van is currently on a private plate which is are included in the sale and will be transferred once a sale has been agreed. Genuine reason for sale, I simply have not had the time to use it due to work commitments hence mileage 5,200. DSG (Direct Shift Gearbox), gear-knob and gaiter, Remote central locking with interior locking, two remote folding keys and one rigid key, Bluetooth phone connectivity with trip computer and multi-function display, Discover Media Navigation (Updated to very latest maps October 2018), Colour DAB + Radio system with 5” touch-screen, single MP3 compatible CD Drive SD Card Slot, AUX-IN socket and two speakers, USB connection. 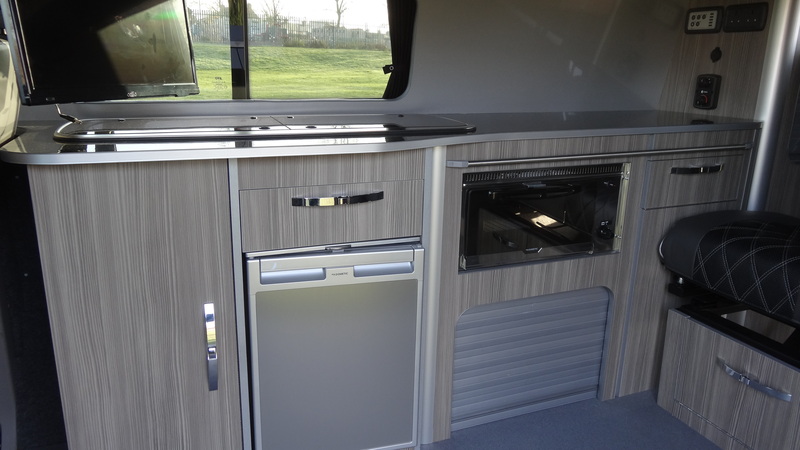 Comfort pack including foldable grab handles on pillars, Multi-function display, Digital Clock, Door mirrors – electrically heated and adjustable, Electric front windows, Interior light, Lockable glove compartment, manually controlled heating system with dust and pollen filter and air recirculation, Rev counter, 12V sockets x 2, Anti-Lock braking system (ABS), Electronic Brake force Distribution (EBD), Electronic Differential Lock (EDL), Electronic Stabilisation Programme (ESP). 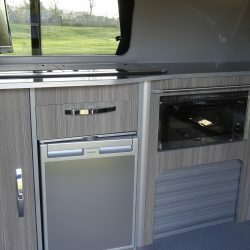 Van has professionally undergone a bespoke conversion by All Seasons Leisure based in Gateshead, http://www.allseasonsleisure.com.